Point2 Homes gives you far more than a simple list of houses for sale. Get instant access to a lot of relevant information about Georgina, ON real estate, including property descriptions, virtual tours, maps and photos. The search results pages also have a wealth of information on Georgina, ON, if you scroll all the way down. There are 180 houses for sale in Georgina, ON. 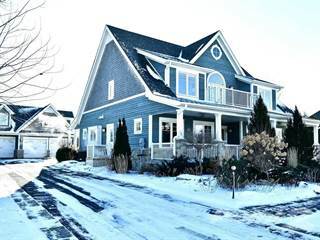 Searching homes for sale in Georgina, ON has never been more convenient. With Point2 Homes, you can easily browse through Georgina, ON single family homes for sale, townhomes, condos and commercial properties, and quickly get a general perspective of the real estate prices. Also, you’ll never miss a bargain if you filter listings based on house price drops in the past six months. 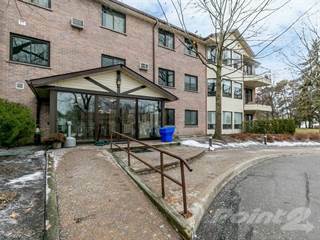 Use the map view to find Georgina, ON homes and apartments for sale, based on amenities or city features that you may want close by. You can close in on a specific neighbourhood or area by simply drawing around them with the polygon or radius tools. Stay informed about the latest entries on the real estate market by saving your searches. This way, you get new listings in your inbox, daily or every week, based on your preferences. If you’d like to get in touch with a professional, agents are displayed next to their listings, and they’re easy to contact through the online forms. If you want more options, you can click the Tools tab and Find an Agent, and you’ll get a list of helpful and knowledgeable real estate agents in Georgina, ON. Visit the Point2 Homes blog and you can find up to date expert advice on many markets throughout Canada, regular market reports, neighbourhood scoops in cities throughout the provinces, real estate deals and useful recommendations. Located in the southeastern portion of Ontario, Georgina covers 287.75 square kilometres along the southern shore of Lake Simcoe. Georgina is home to over 45,000 people and encompasses a number of small communities such as Balfour Beach, Franklin Beach, Mossington Park, McRae Beach, Port Bolster, Udora, Sutton, and Keswick. Highway 48 cuts along the northeastern and central sections of Georgina and links the town to major highways nearby. The Black River flows from Lake Simcoe through the central section of Georgina and is dammed farther south. In the western section of the city, there are residential areas, parks, a harbour, marinas, schools, shops, service providers, restaurants, beach areas, churches, government offices, a fire station, a performing arts theatre, a post office, conservation areas, golf courses, accommodations, a museum, a skiing area, a water treatment plant, a conference centre, farms, and orchards. Georgina’s central section is more densely populated than the other sections are and includes restaurants, shops, service providers, residential areas, beach areas, parks, a river, golf courses, schools, post offices, government offices, an arts centre, a skate park, community halls, churches, accommodations, a health centre, harbours, museums, a provincial park, a dam, and wetland areas. Parks, residential areas, accommodations, shops, restaurants, service providers, beach areas, marinas, golf courses, schools, a paintball facility, post offices, a fire station, a conservation area, community halls, a library, a wildlife refuge, churches, and government offices can be found in the eastern section. The Georgina Arts Centre & Gallery, located in Sutton, features a gallery of work by local artists, with a focus on First Nations artists. The gallery has a collection of around 530 pieces that are displayed on a rotating basis. The gallery also presents temporary exhibitions of work, as well as a variety of musical performances by local musicians and singers. Art classes at the centre are offered for all ages and skill levels and include techniques such as watercolours, acrylics, mixed media and drawing, and there are also classes for kids and about art presentation. 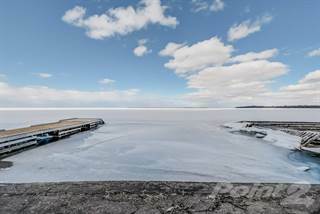 Sibbald Point Provincial Park, located along the shore of Lake Simcoe, features sandy beach areas, campsites, a museum, picnic areas, forested areas, trails, a boat launch, shower facilities, restroom facilities, drinking water, a general store, and picnic shelters. The park is a popular place for camping, hiking, boating, fishing, swimming, canoeing, picnicking, biking, birdwatching, wildlife viewing, participating in nature programs, ice fishing (winter), cross-country skiing (winter), and snowshoeing (winter). Major industries in Georgina include tourism, retail, services, healthcare, manufacturing, construction, government, and education. The area’s largest employers include Kesmac, Buchner Manufacturing Inc., Brouwer Wood Products, J. C. Trailers, Zehrs Market, The Briars Resort, Canadian Tire Corporation, Cedarvale Lodge, and Krates Marina. Beach areas and parks attract many tourists throughout the summer months, increasing the need for accommodation, restaurants, retail, and parks employees and boosting the local economy significantly. The Town of Georgina provides information, resources, support, and various services to business owners and investors in the Georgina area. Single-family homes in the western section tend to be large and pricey, and include a mix of older homes and newer builds. Homes near the lake normally fetch higher prices than those located farther from it do, and homes in the centre of communities here are usually more affordable. Vacant land is available in this section and can be expensive. Single-family homes in the central section have similar price tags to those in the western section. High-priced vacant land and commercial properties can also be found here, as can reasonably priced row housing options. In the eastern section of Georgina, single-family homes range in price from mid to high, and are often found on large, sprawling lots that offer a rural feel. There is also plenty of vacant land available here, at a variety of price points. Georgina-area schools include W.J. Watson Public School, Deer Park Public School, Black River Public School, Saint Bernadette Catholic Elementary School, Sutton District High School, Keswick Public School, Keswick High School, Morning Glory Public School, Fairwood Public School, Georgina Access District High School, Our Lady of the Lake Catholic College School, R.L. Graham Public School, Georgina Island Public School, Jersey Public School, Lakeside Public School, Lake Simcoe Public School, and St. Thomas Aquinas Catholic Elementary School. There are no post-secondary options in the city, so residents must travel to nearby communities to access options such as CTS Canadian Career College, Georgian College, and College Boreal.